Albert Lewter was born May 30, 1908 in Robert Lee, Texas. He graduated from high school in Pampa. His grandfather was a founder and politician of Tyler. 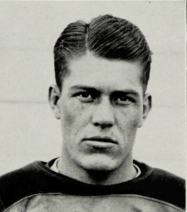 Lewter came to Waco to attend Baylor University in the 1920s and played for their football team beginning in 1928. He was known as a “fierce-tackling youngster” at the defensive tackle position. 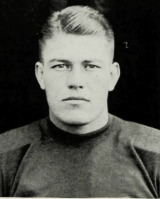 He was just 180 pounds who regularly “sailed into opponents with fury.” In 1930, he switched to fullback. He is shown carrying the ball in a game against the University of Denton Teachers(now the University of North Texas) in which Baylor won 33-0 but the coaches were upset with what they considered a “sloppy victory.” Lewter graduated from Baylor in the Spring of ’31. He later worked games as a referee during the 1940s and 50s. 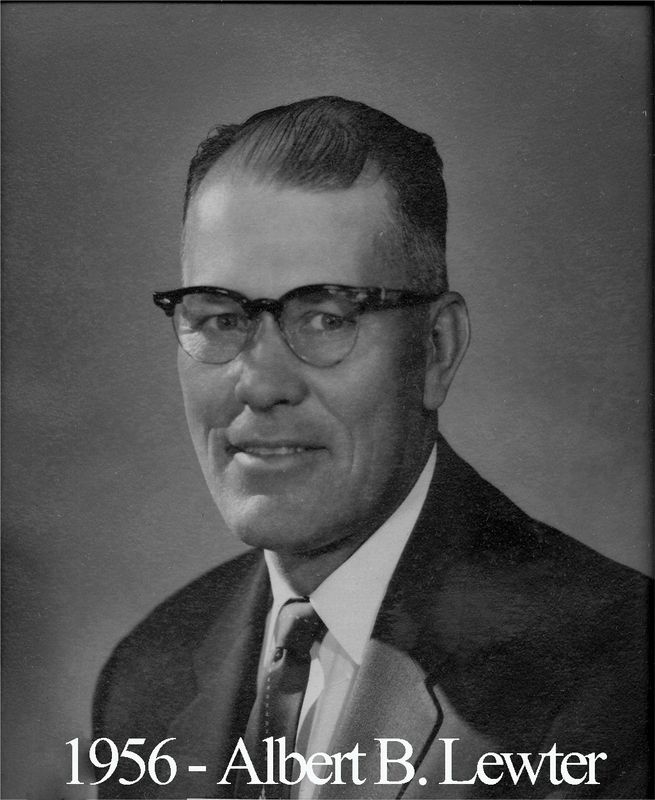 Brother Lewter worked for most of his life in insurance and real estate with such agencies as Franklin Life Insurance, Texas Life Insurance, and others. He also was a leading visionary for the Urban Renewal program that reshaped downtown Waco in the 1960s. He became a Master Mason at Waco Lodge on February 10, 1945, and accomplished the impressive feat of earning his esoteric certificate that same year. He served as the Master of our lodge in 1955. Albert Lewter died on June 8, 2000.